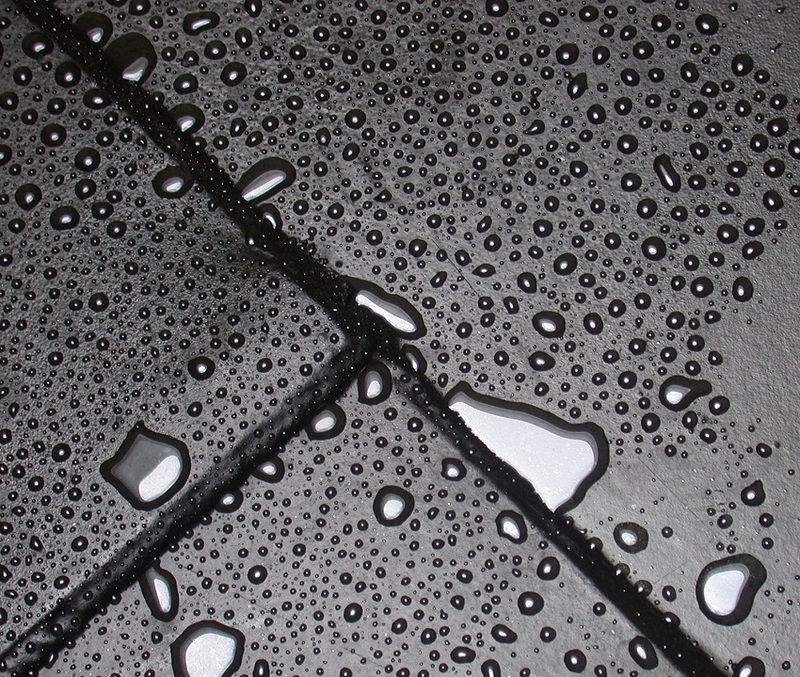 Bathroom condensation is so annoying, and it’s a common problem in most homes. After a shower or bath, water droplets form on the window, walls and mirror when the warm, damp air is cooled by these cold surfaces. Warm air also holds more moisture, which results in heavier condensation. But don’t worry, there are a variety of ways that you can deal with bathroom condensation to help keep the space drier and less prone to unsightly mould growth. Condensation is all to do with temperature, air and water vapour. Take the bathroom for example, it’s a humid environment and moisture is released into the air by taking a shower or bath. As the moisture mixes with the air as water vapour, it eventually makes contact with a cold surface and forms as droplets on surfaces such as mirrors and windows – this is known as condensation. The hotter the water vapour, the more moisture the air can hold, which is why condensation becomes a bigger issue in the bathroom, as there’s lots of steam rising from the water. What’s the best way to stop condensation in the bathroom? Condensation not only mists up mirrors and windows, it can lead to unsightly mould too. Although you’ll never completely stop condensation there are a few simple yet effective ways to reduce it in your bathroom. To prevent condensation forming in the bathroom you should open a window and switch on the extractor fan. Keep the bathroom door closed so the moisture doesn’t escape into other areas of your home. If you forget to open the window or turn the extractor fan on, you’ll soon notice the large amount of condensation that’s formed. Ok, so you may not want to open the window on a freezing cold morning, but it won’t be chilly for long, as the hot water and steam will soon warm the bathroom up. Cold wall surfaces such as ceramic tiles will also attract condensation, and the only solution to reduce this is to keep the bathroom warm. Underfloor heating can help with this issue. You may also want to consider double glazed windows if you only have single glazed. Single glazing is colder and attracts more condensation. Wiping down the surfaces with a towel after using the bathroom will help eliminate mould. It might seem like a pain to do this every time you’ve had a shower or bath, but it won’t take too long and it will prevent issues caused by condensation. The bathroom doesn’t have to be completely dry, but just enough so it’s not soaked. If you notice any mould, then make sure to check out our guide on how to remove bathroom mould. If your bathroom doesn’t have a window, don’t worry! An extractor fan can help control condensation. If you don’t fit an extractor fan, the condensation has nowhere to escape, which can lead to major issues. 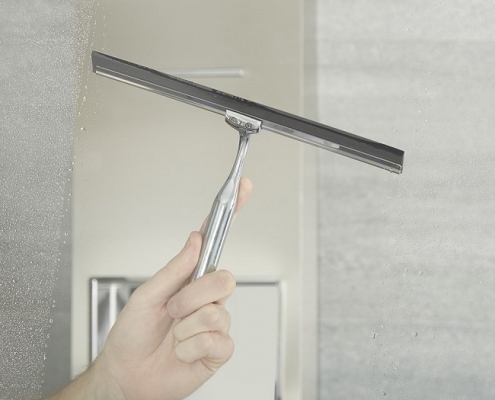 An extractor fan takes the moist air out of your bathroom and transports it outside. You should clean the extractor fan every so often to remove dust and dirt – this ensures it runs effectively. A dehumidifier takes the moisture from the air and collects it as water. If you leave one running when using the bathroom it will result in a huge reduction in condensation. Bathroom mirrors can quickly steam up and become covered in condensation. There are a couple of solutions to prevent this from happening. You can fit a new mirror with a heated demister pad – this will keep the surface of the mirror warm, so there’s no chance for any condensation to form. 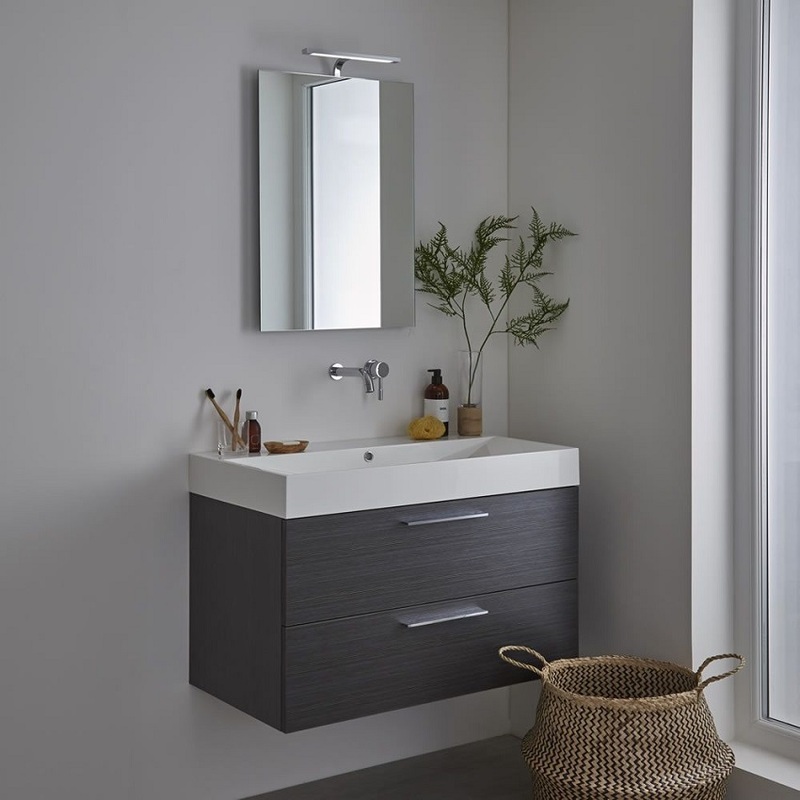 If you don’t want to upgrade your bathroom mirror you can lather it up with shaving cream and wipe clean with a towel – it will stay fog free for a while, it’s as simple as that! You can also try using a 50-50 solution of vinegar and water. Pour a cup of water and a cup of vinegar into an old spray bottle, add a couple of drops of washing-up liquid and spray onto the mirror. Wipe with a towel and the glass should be free from steam for a few days. To ensure a streak free finish, use newspaper to wipe it down. 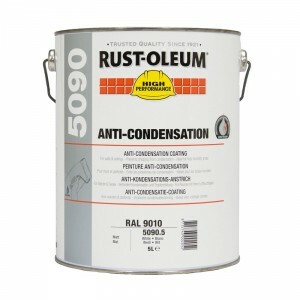 Apply a specially formulated anti-condensation paint to bathroom walls and ceilings such as Rust-Oleum 5090 Anti-Condensation Coating – this is a water absorbing coating based on a water-based acrylic polymer. It also contains a fungicide to prevent mould growth. Turn up the thermostat a few degrees to warm the air in the bathroom. The warmer air will warm up cold surfaces and reduce condensation. You can also use an electric heated towel rail to keep your bathroom warmer – this helps to keep walls and windows above condensation temperature. The Guardian recently featured an article on the best way to tackle bathroom condensation, so we decided to pick out a selection of the most helpful comments from readers’ answers. Tell us… how do you deal with condensation in your bathroom? Do you have any more tips or tricks? We would love to know, so share with us @BigBathroomShop or in the comments below. An easy to follow guide on how to fix a running toilet. 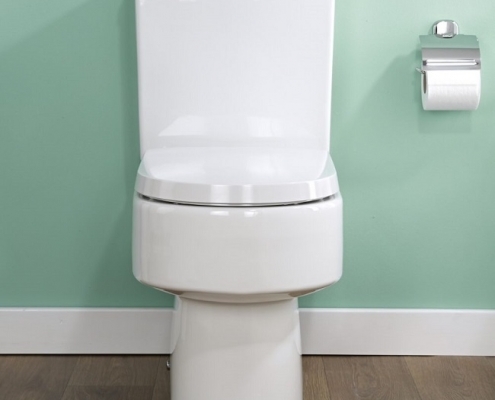 A toilet that continuously runs is not only annoying but it can waste a large amount of water too. An easy to follow step-by-step guide on how to fit a shower enclosure. This expert guide will help you install your new shower enclosure so you can complete your bathroom renovation project. How do you Clean a Shower Enclosure? Top tips and tricks for cleaning a shower enclosure and shower door tracks. Keep your shower glass sparkling clean with the right tools and products. https://www.bigbathroomshop.co.uk/info/blog/wp-content/uploads/2018/09/shower-squeegee-1.jpg 650 650 Liz Tabron https://www.bigbathroomshop.co.uk/info/blog/wp-content/uploads/2018/08/bbs-new-logo.png Liz Tabron2018-09-19 09:00:312019-01-04 11:14:51How do you Clean a Shower Enclosure?